DII has over 25 years of experience designing, manufacturing, and delivering quality products to customers. 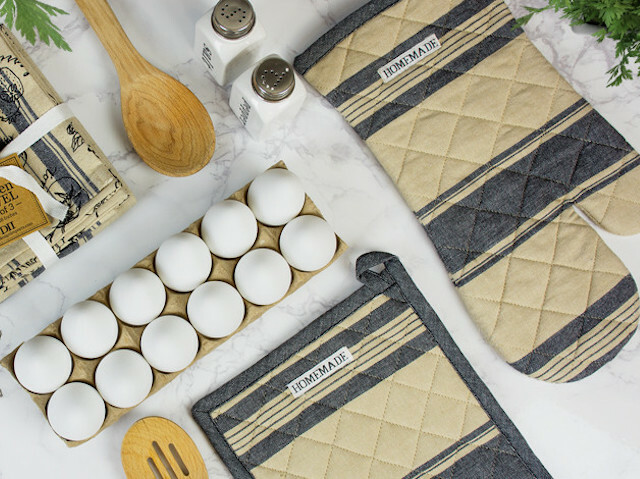 They create fashionable, fun, and functional kitchen textiles, table linens, gifts and decorative accessories for the home year round. DII provides an Everyday Basics Collection that never goes out of style, a Fall & Holiday, and Spring & Summer Collection of creative, trend based items that will bring warmth to any home. Incorporating the hottest colors and themes, DII brings you a fresh, innovative line of kitchen products, tabletop items, gifts, and home décor for every season, every holiday, and everyone.